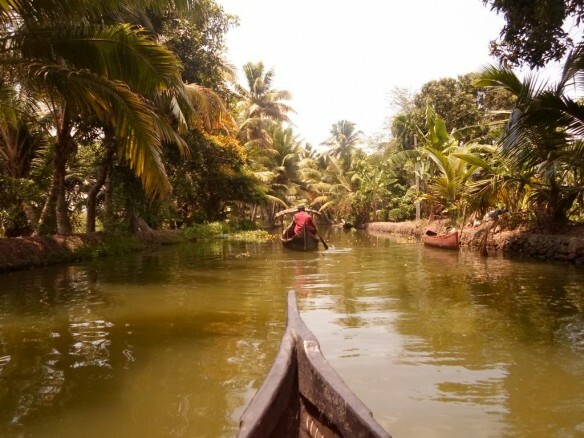 Canoeing in Kerala is an ideal way to relax and unwind. Kerala is the land of beautiful lagoons and meandering rivers and the best way to explore the mesmerizing scenery is by taking up the canoeing sport in Kerala. 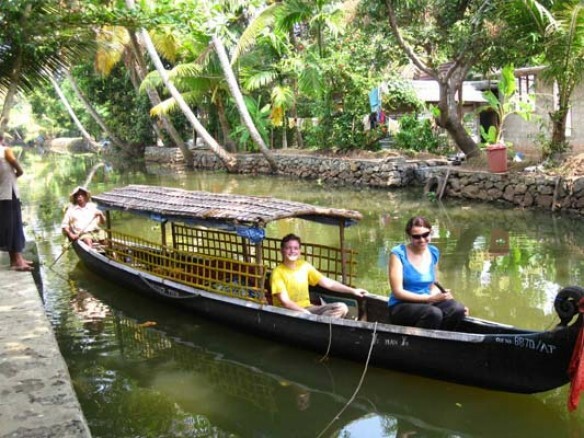 You can rent canoes at nominal charges and go sailing on the placid backwaters of Kerala. Canoeing in Kerala is a pleasure an absolute if you have plenty of time at your disposal. The thrill that you will experience when cool water splashes on your face is unmatched. The backwaters have a unique ecosystem - freshwater from the rivers meets the seawater from the Arabian Sea. Many unique species of aquatic life including crabs, frogs and mudskippers, water birds such as terns, kingfishers, darters and cormorants, and animals such as otters and turtles live in and alongside the backwaters and can be seen while canoeing. We can take you for the Village walk, Temples, Churches beside backwaters too.